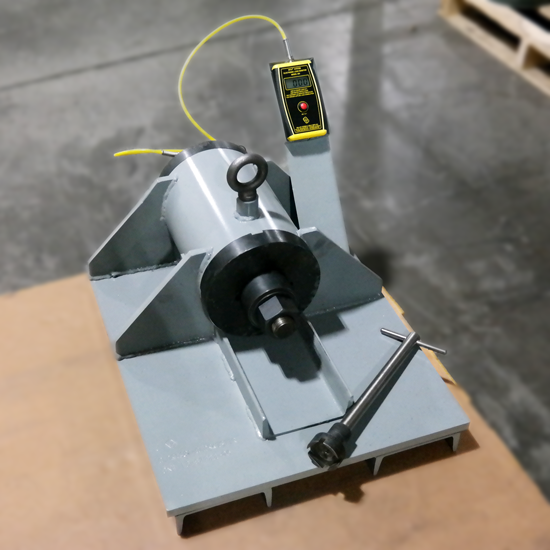 The Clarkester™ Tester accurately calibrates tightening tool torque to bolt tension, prior to installation, to virtually eliminate loose and broken bolts in structural and mill liner applications. 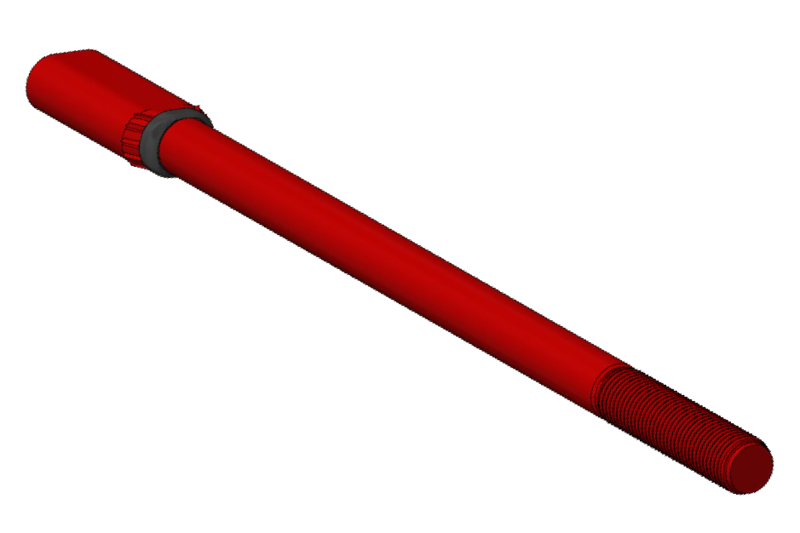 The Clarkester™ is available with load capacity up to 250,000 pounds and bolt sizes up to 2 ½”. 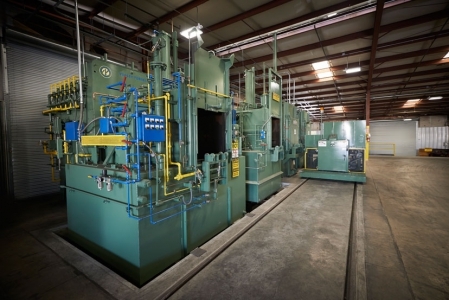 In addition, torque capacity is considerably higher than that of currently available testers, thereby enhancing the integrity of your bolted joints. 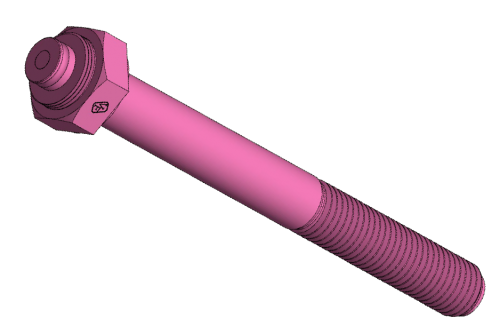 In the assembly of bolted joints, using torque as a measure of joint tightness has plagued the fastener industry. The Clarkester™ Tester was created to address this mystery. 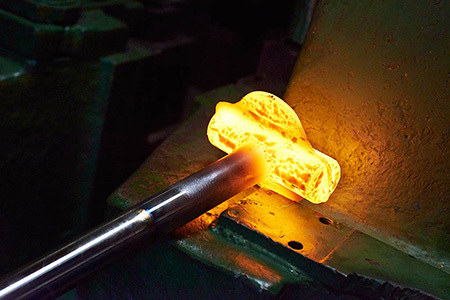 Errors in target joint clamp load, or bolt tension, of up to 50% may result from using this dated tightening method. We at Valley Forge have worked diligently to create a method to reduce these errors for our customers. Accurate and reliable bolt tension measurement in the Clarkester™ Tester is assured using Valley Forge’s SPC4™ load indicating system, which can easily be verified for load accuracy. 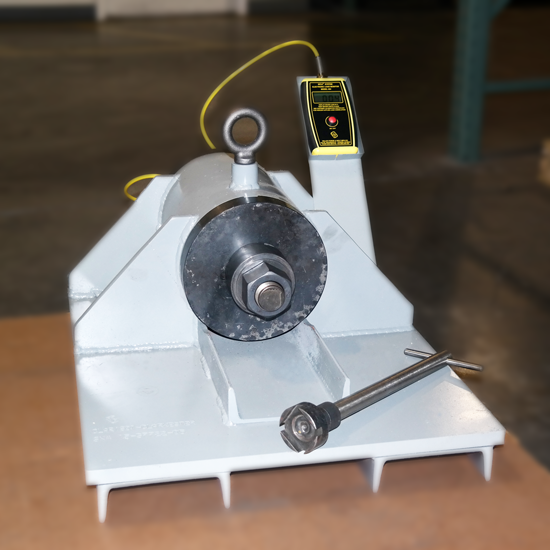 Clarkester™ Testers are available with load capacity up to 250,000 pounds and bolt sizes to 2 1/2”. 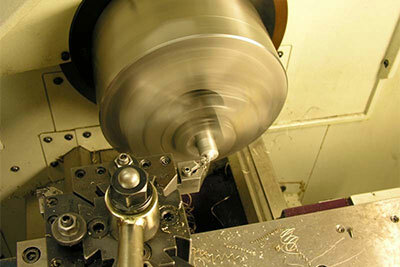 In addition, torque capacity is considerably higher than that of currently available testers. Interchangeable load plates for various head configurations, including hex head, square head and mill liner bolts. New and replacement parts supplied overnight. Dependable trouble-free operation without oil and pressure gauges. 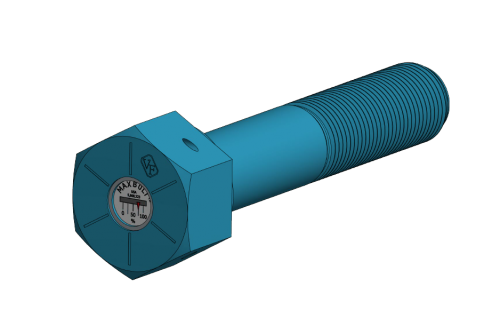 Eliminates inaccuracies of out of calibration pressure gauges. No reaction pins to shear. Easy and quick calibration of load cell using SPC4™ technology. Self check calibration ability to verify rebuilt tensioning tools. The mystery of torque versus tension has forever intrigued the engineers that have tried to apply this method of tightening on fastened assemblies. The engineers have the daunting task of taking into account the condition of the fastener. For example, are the fasteners rusty, clean or lubricated? Will the fastener require lubrication prior to installation? These are only a few of the many possibilities that engineers must be faced with when a critical joint is encountered. 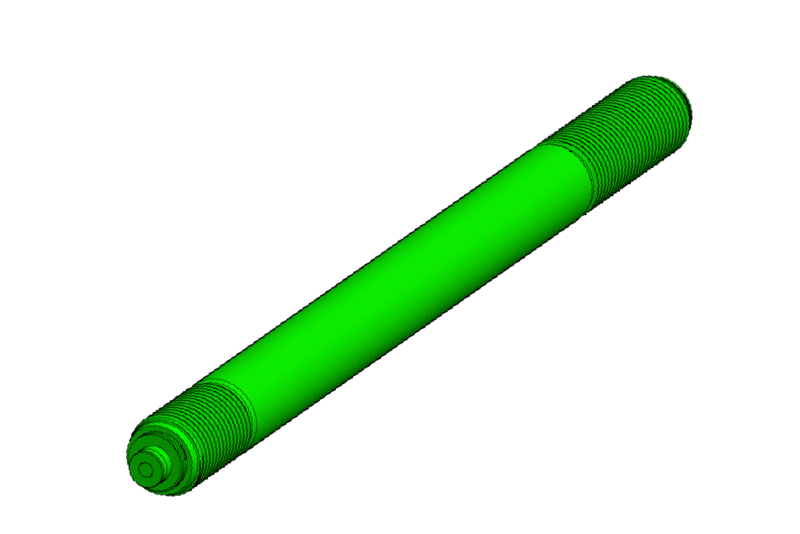 HOW DOES TORQUE RELATE TO TENSION? The biggest element in this equation is the coefficient of friction of a fastened assembly, or the ‘K’ Factor. 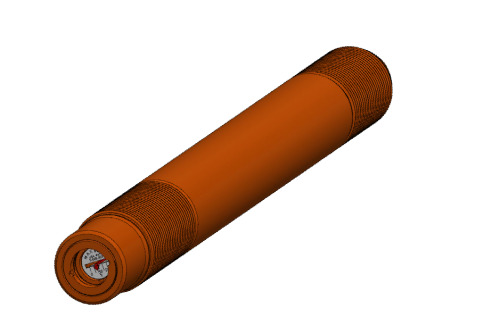 Below are a few scenarios depicting a rusty, plain and lubricated fastened assembly. 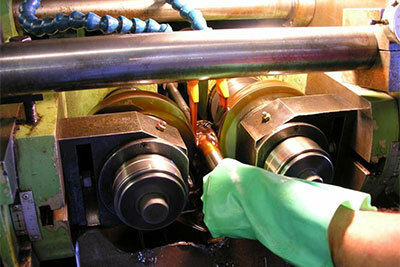 Lubed Assembly: Thread and head bearing surfaces covered with high performance lubricants or with anti-seize compounds. Additional Lubed Assembly: Additional lubricating coatings of oil, wax or dissimilar plating or hard washer. Plain & Clean Assembly: Dry, clean with thin film of oil. 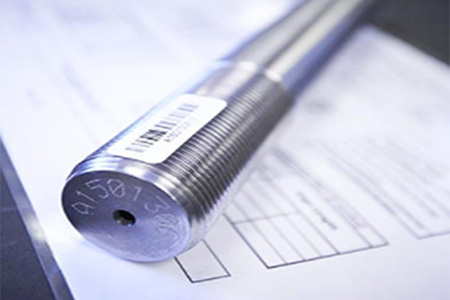 Combinations of certain materials such as Austenite stainless steel screw/bolts. In order to demonstrate the variability in Torque needed for any critical joint, and how our Clarkester™ Tester can help take the guess work out of this age old mystery, we have calculated the Torque needed for each of the above scenarios.